Marian Hilda Lundgren, 93, of Erie, died on Sunday, July 29, 2018, at St. Vincent Hospital. She had formerly lived at the family homestead on W. 11th Street for over 90 years. She was born on June 15, 1925, in Erie, daughter of the late William Gunnar and Hulda Amelia Crook Lundgren. She graduated from Strong Vincent High School and Erie Commercial College, and worked as Credit Manager for Sears Department Store, retiring in 1987, after 40 years. 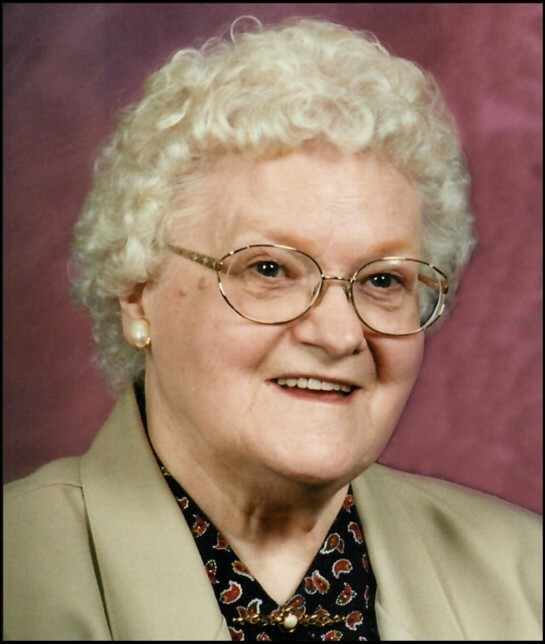 She was a longtime member of St. Matthew's Lutheran Church and had served as Chairman of the Ladies Circles, and for 50 years sang in the choir and taught Sunday School. Marian was also a member of SVEA Lodge No. 296, Vasa Order of America, Business and Professional Women's Club of Erie and Church Women United. She volunteered at Mercy Center on Aging and at the Village at Luther Square. In addition to her parents, she was preceded in death by a sister, Evelyn Lundgren Lesher; three brothers, Norman, Raymond and Milton Lundgren; and a niece, Sally Holden Lesher. Survivors include several nieces and nephews including Barbara Lundgren Hayes of GA, Marilyn Lundgren and Melvin Lundgren (Beth), of MD, Walter Lundgren (Susan) of TX, Robert Lundgren (Mary Lou) of CA, and Marian Detisch (Robert) of NE; and many grandnieces, grandnephews, great-grandnieces, great-grandnephews, cousins including Marlene Vaughn, and close friends including Jeanne Griswold, Paul Bright, Ray Baker and Joe Helm. The family would like to extend a special thank you to Elmwood Gardens for the wonderful care they provided Marian during her stay there. Friends may call in the Parlor of Luther Memorial Church, 225 West 10th Street, Saturday from 9 a.m. until time of the funeral service in Faith Chapel at 11 a.m. The Rev. William Coleman will officiate. Burial will be in Laurel Hill Cemetery. Arrangements have been entrusted to the Scott Funeral Home, 2104 Myrtle Street. Memorials may be made to a charity of the donor's choice.